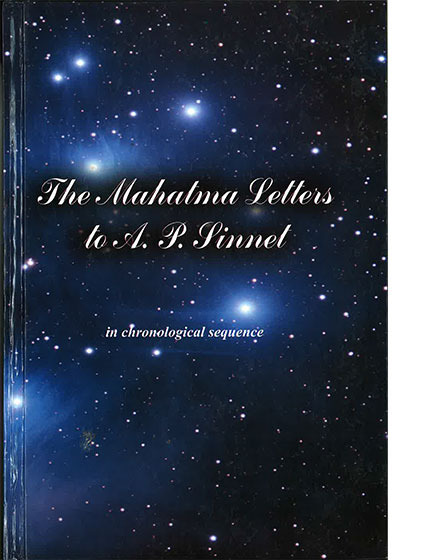 One of the classics of Theosophical literature, these are letters written by the Mahatmas Koot Hoomi & Morya to A P Sinnett & A O Hume during the early years of the Theosophical Society. The depth & profundity of these teachings have been a source of inspiration to students all over the world. This edition arranges the letters in their chronological sequence; to further help the reader appreciate the circumstances surrounding the letters, brief notes to each letter are included. Author: edited by A .T. Barker/ V H Chin.